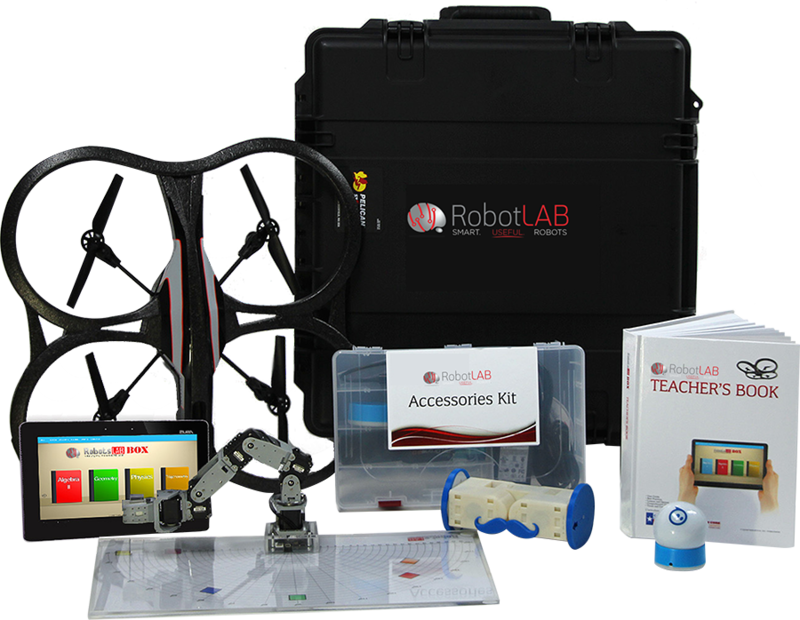 RobotLAB's Online learning platform is the only STEM and Coding platform that offers a wide range of digital courses and hands-on activities for multiple robots, multiple subjects and multiple age-groups. 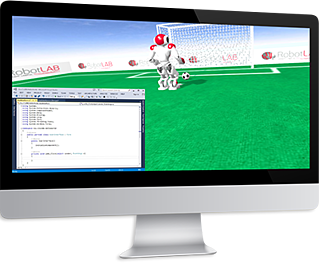 RobotLAB's Online Learning Platform is an interactive and hands-on learning experience organized by eye-catching themes (such as soccer-playing robots or autonomous cars). Students and teachers can access the browser-based learning ecosystem from any device. A user-friendly interface allows teachers, even those with zero programming experience, to bring their lessons to life with virtual or physical robots. Engage! K12 makes it easy to teach coding and programming. The curriculum is organized into grade-specific courses where students move at their own pace through theme-based lessons to learn concepts and apply them to virtual or physical robots. Engage! K12 includes everything you need to teach programming in a fun, engaging way, including lesson plans, teacher guides, answer keys, and standards alignment. The ready-to-use, standards-aligned lesson-plans allow teachers to integrate project-based learning into what they already teach, using robots. From Storytelling to Math, educators can assign a relevant Engage! K12 activity and students will follow instructions and apply a concept to a meaningful challenge where they can explore, experiment and learn. Engage! K12 is an immersive learning experience that provides comprehensive, interactive standard-aligned content for STEM and coding lessons. It offers a wide range of digital courses and hands-on activities that bring abstract concepts to life using robots. How do students learn with Engage! K12? Engage! 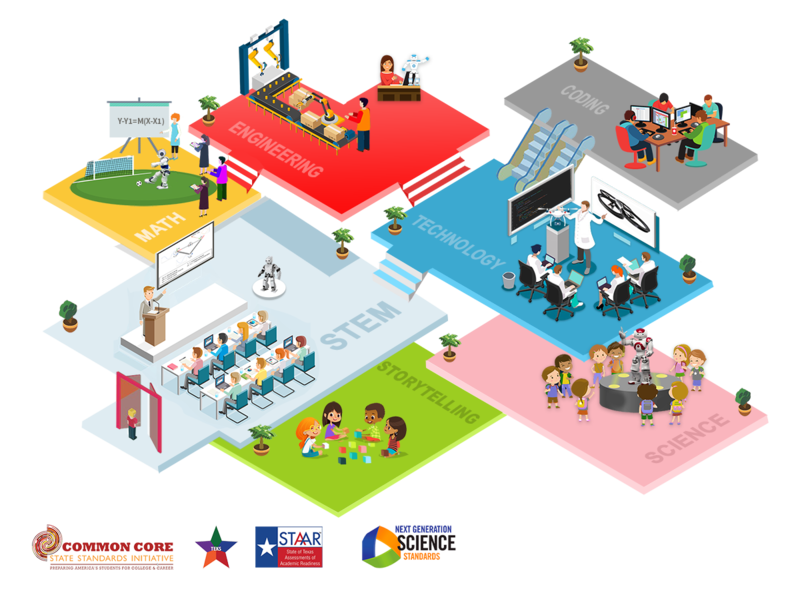 K12 provides a ready-to-use learning environment that easily and successfully teaches students 21st century skills. Through fun and engaging themed-based lessons, students need to solve meaningful challenges by controlling virtual robots or send command to real robots such as humanoids or autonomous cars. Students love learning with Engage! K12 and get an extra boost of motivation from virtual prizes they can win. Because they are using robots to visualize the meaning of abstract concepts, students can play, explore, experiment and learn. What skills will students learn when using Engage! K12? Engage! K12 focuses on developing 21st century skills and global competencies through the purposeful use of technology, project-based and blended learning. In and out of the classroom, students develop critical thinking, problem-solving, computetional-thinking, creativity, communication and collaboration skills. How is Engage! K12 easy and simple to teach with? Engage! K12’s flexibility ensures that any teacher, even without prior experience in coding, can bring STEM and coding skills into their classroom. Engage! K12 is organized into grade-specific courses and searchable by subjects and standards. These ready-to-use, standards-aligned project templates allow educators to integrate coding and project-based learning into what they already teach. Engage! K12 also includes classroom tools that allow teachers to set up easily their classroom and quickly measure learning outcomes. Does Engage! K12 come with robots? Your call! Engage! K12 doesn’t come by default with any robot but you can add robots from our educational robotics catalog. If you plan to open a new STEM or Coding lab, you might be interested in our turnkey STEM labs. Can I use Engage! K12 even if I don’t own any robots? Yes, all the lessons can be taught without any physical robot by using the 3D simulation tool. This feature makes Engage! K12 even more cost effective. I already have robots: can I connect them to Engage! K12? Yes, Engage! 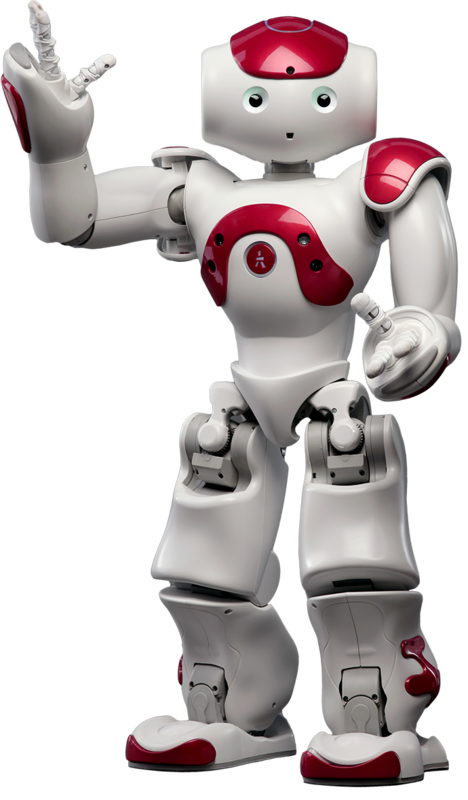 K12 is already compatible with the NAO Humanoid Robot, quadcopters, Sphero, 3D printers and autonomous Cars. Our team is actively adding more robotics platforms. Can students access Engage K12 from home? Yes! Engage! K12 subscription offer students and teachers unlimited access from any computer connected to the Internet. Engage! K12 can go anywhere you go! Remind your students to sign in so all their progress is tracked. What is Engage! K12 pricing? No matter if you’re a classroom teacher, a school leader or a district administrator, we have the right solution for you! A single school Engage! K12 license costs $4,200 per year. For an implementation in multiple schools, we offer pricing discounts ranging from 10% to 25%. Multi-year discounts are available as well. To learn more, please contact us or visit our store. If I already have a school license, can I add more licenses? Yes, you can add extra licenses for the same school. Price is $990 per year for each pack of 100 individual accounts. Do I have to pay more to get access to more subjects or grade levels? No! All Engage! K12 subscriptions provide unlimited access to every subject and every grade level available. Subscriptions are active for one calendar year and you decide when you want to start it. For example, if you decide to start your year-long subscription on June 1, 2017, it would be active until end of May, 2018. 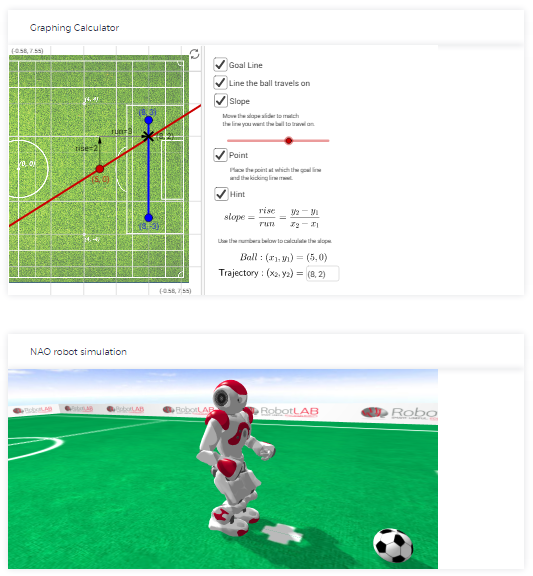 Bring STEM to life with NAO Robot, Hands-on learning platform to teach core subjects: Reading, Writing, Math, pre-algebra, geometry, algebra, trigonometry, pre-calculus, including coding and programming. This pack offers the best value for educators. It was inspired by the needs of our youngest learners and was designed with Pre-K and Kindergarten students in mind. However, you ’ ll find that it works great for older students, too! 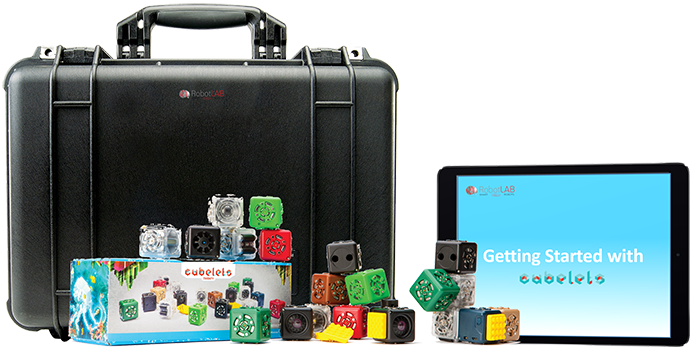 You ’ ll find everything you need inside the case to jumpstart your program, including the Cubelets Digital Curriculum loaded on a Tablet. The Classroom Pack includes 84 SENSE, THINK, and ACT Cubelets, 3 Chargers, VGA Dongle , 1 Tablet and 1 Transport Case. Save 30 % off the retail equivalent price with the Classroom Pack! 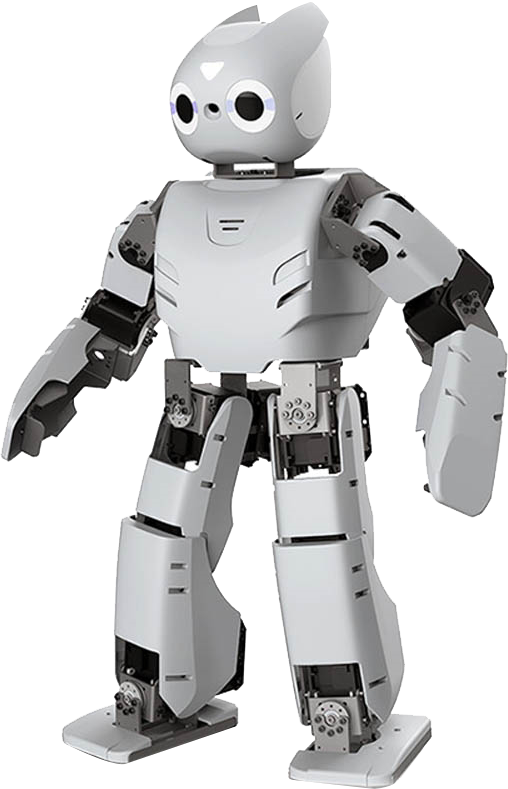 A humanoid robot designed for Research and Higher Education. It includes: 1 fully-assembled DARwin OP2, 3 batteries, 1 charger, 1 DC power supply, 1 power cable, 1 Ethernet cable, 2 wrenches and screwdrivers, 2 fuses, spare cables, spare bolts and nuts, 1 red ball, 7 color cards, 1 USB thumb drive, 1 quick start, 1 RoboPlus CD, and 1 hard case. "My students struggle to understand these topics. By using these robots, my students find the math lessons more fun and engaging. Best of all, I didn't need to know about robotics in order to use the robots in my classroom." "Our goal [in selecting and equipping the district's high schools with robots] is to develop students who use science, technology, engineering and mathematics to solve real-world problems and to provide them with exposure to additional career opportunities." "I would like to say how impressed I was with the ability of the robots to generate immediate interest and its ability to captivate an audience. I used it to show how at classes we will be using different techniques and methods to learn mathematics through a hands on approach. As soon as I showed them the robot, I had not only the parents' attention, but all the children in the classroom stopped and were enthralled by the demonstration."